I was hitting the faction boss when the scripting warning screen popped up. Could someone explain what could have possibly set this off, since I'm sure I didn't hold the "s'" key down that long. For some reason I can't post the picture in here. Hoping my friend will be able to help me with that. Interesting, and no word from the devs either. There are occasional false positives that happens for unknown reason. At this point it just generates an alert log for us to investigate before taking any actions. 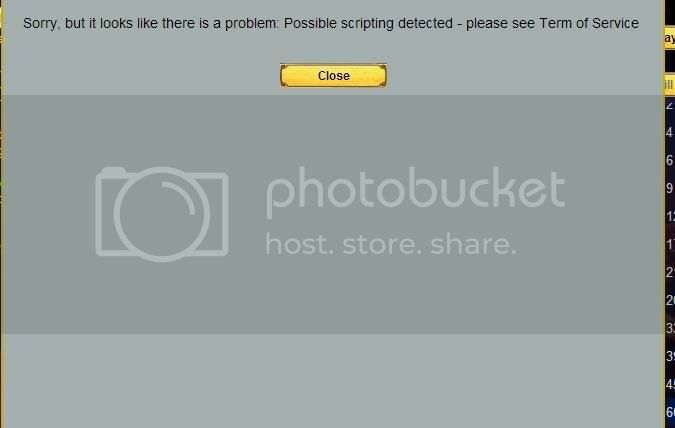 As long as you are not actually using any scripts, you can disregard the dialog.